Home is Just the Beginning, Mercy Housing California’s biennial fundraising gala, will benefit programs for youth at our affordable housing communities throughout California. Resident families want the same things for their children as all Californians: safe neighborhoods, parks to play in, stores selling fresh food, and neighbors they trust. They want their kids to grow up strong, smart and healthy, ready for college and a career. But it’s hard to make dreams come true for low-income families. The impact of poverty on child development can create a self-perpetuating cycle. Children growing up in low-income households are at greater risk for chronic health conditions, developmental delays, behavioral and emotional problems and poor academic achievement. The stress associated with living in poverty adversely affects children’s concentration and memory, which can impact their ability to learn, leading to poor grades and quitting school, which contributes to the cycle of inter-generational poverty. Our onsite youth programs at our affordable housing communities include homework clubs; literacy and reading programs; evidence-based science and STEM activities; art activities to promote self-expression; health and nutrition education; violence-free sports and physical activities; leadership development to build confidence; field trips, adventures and more. In addition, we are currently in the process of focusing more specifically on families with children in the 0-5 age range to provide greater support. We have seen remarkable results from programs like these in our communities throughout California. This practical approach helps open doors and brings permanent, positive change. Please join us at Home is Just the Beginning on Thursday evening, March 21, 2019, and together, we can make dreams come true! Fred Blackwell is the CEO of The San Francisco Foundation, one of the largest community foundations in the country and was recently chosen as Foundation President of the Year as part of the Inside Philanthropy 2018 Philanthropy Awards. 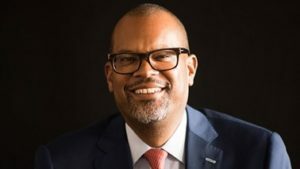 Since joining the foundation in 2014, Mr. Blackwell has led the Foundation in a renewed commitment to social justice through an equity agenda focused on racial and economic inclusion. Mr. Blackwell, an Oakland native, is a nationally recognized community leader with a longstanding career in the Bay Area. Prior to joining the foundation, he served as Interim City Administrator for the City of Oakland where he previously served as the Assistant City Administrator. He was the Executive Director of the San Francisco Redevelopment Agency and Director of the Mayor’s Office of Community Development in San Francisco; he served as the Director of the Making Connections Initiative for the Annie E. Casey Foundation in the Lower San Antonio neighborhood of Oakland; he was a Multicultural Fellow in Neighborhood and Community Development at The San Francisco Foundation; and he subsequently managed a multi-year comprehensive community initiative for The San Francisco Foundation in West Oakland. Mr. Blackwell currently serves on the boards of the Independent Sector, Northern California Grantmakers, SPUR, the Bridgespan Group, the dean’s advisory council for Berkeley’s College of Environmental Design, and the community advisory council of the San Francisco Federal Reserve. He previously served on the boards of the California Redevelopment Association, Urban Habitat Program, LeaderSpring, and Leadership Excellence. He is a visiting professor in the department of City and Regional Planning at UC Berkeley and the Co-Chair of CASA. He holds a master’s degree in city planning from UC Berkeley and a bachelor’s degree in urban studies from Morehouse College.